So I’ll assume the bill fold is in the other end??? 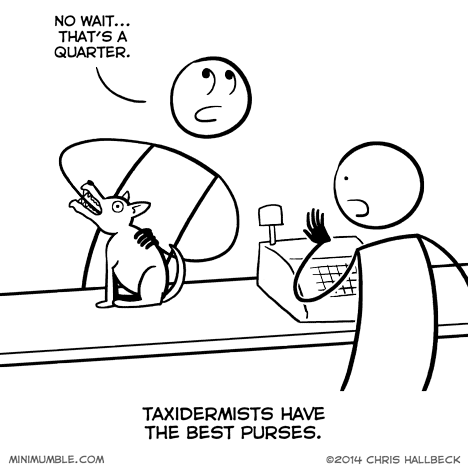 My wife is a veterinarian – she has encountered clients who keep their spare change in live dogs. Though not intentionally I think, as it costs more than spare change to remove it. They do take bets on how much is in there, however. While I’m searching, you want a hard candy? I suppose a safe would be the elephant in the room.